Maintaining a safe and inviting home starts with having appropriate home security solutions in New York, New York. 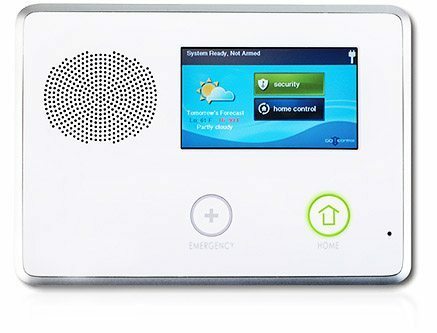 At Slomin's, we offer home security and home automation services that give you peace of mind and reliably safeguard your home or business, just as property owners and renters would expect from their security systems. Our security services maintain the safety of your home and family. We install custom systems for every situation based on personal needs and preferences. After installation of the home security system, we provide remote monitoring services through our central monitoring station, which is staffed 24/7/365 by highly trained respondents. You can also live stream footage from video surveillance cameras, allowing you to check on your property without having to be there physically. We know that your life is hectic, which is why we introduced the MySlomin’s app for iOS and Android. The easy-to-use app allows you to remotely control your system, including arming/disarming the system and controlling all devices. Our closest location to New York is in Garden City, New York. We would be happy to customize a Slomin’s Shield system for homeowners and renters in New York, NY with concerns about their safety and security. We can also take over and upgrade existing security systems. While the home security system provides peace of mind and enhances your safety, we also offer home automation solutions to give you more flexibility and convenience in your daily life. Our home automation services, bundled with home security as part of the Slomin’s Shield system, focus on personal control and management of the systems and appliances in your home. Once we set up the service, homeowners have control over temperature settings, lights, appliances, door locks, and more. You can set up scenes to have the lights turn on automatically in the mornings or have the thermostat lower the temperature when you head out. At Slomin’s, your comfort is our business. Our heating oil delivery service automatically refills your tank when you are running low so that you never have to worry about calling for a delivery before you run dry. We also service, maintain, and repair oil burners. Let us help you create a safer, more comfortable home environment with our Slomin’s Shield security and home automation system as well as our heating oil delivery. We understand that property owners and renters want peace of mind and increased daily convenience, and our products and services help them do so.